SAN FRANCISCO, CALIFORNIA — DreamForce ends today in downtown San Francisco after four raucous days of innovative exhibitions, product demos, bands and mini-concerts — and parties. SalesForce, the force behind DreamForce, is the world’s largest and most-used software used by any number of businesses and institutions to track prospects, to earn business and to crunch data and serve it up conveniently like no one’s business. All on your phone or anywhere else. While in San Francisco. And doesn’t sales data strike you as Party! material? Well, it does to millions. Not bad. Obviously SalesForce is a sales kingpin and has taken businesses in many successful and documented directions, with more customers than anyone offering smart sales data to their customers. 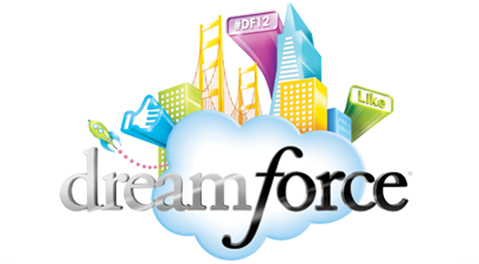 But with DreamForce, I get the whiff and memory of Apple partying like it was the early 2000s with their iPhone debuts, with now Apple only hoping to rival the energy of the current SalesForce phenomenon. Read much more in Kim’s BusinessInsider piece, “This app shows the real reason most people come to Dreamforce”.